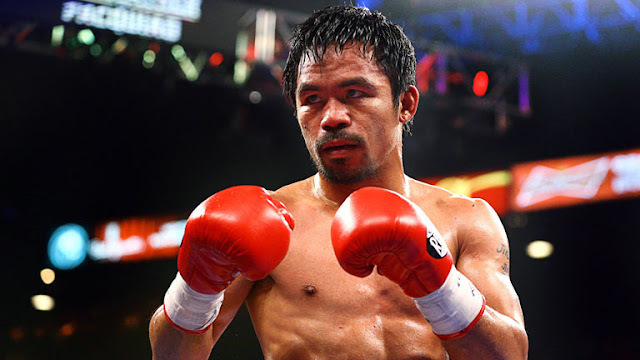 Home Boxing What's Manny Pacquiao wished for his 39th birthday? What's Manny Pacquiao wished for his 39th birthday? Yesterday, December 17, 2017, is the birthday of the former 8th division world champion Manny "Pacman" Pacquiao, turning 39 years old. Pacquiao wished for his 39th birthday is to have another boxer who will become like him who has been given all for an honor of our country. "My birthday wish more birthdays to come to my life and also I pray to God that there's another boxer who will be like Manny Pacquiao na susunod sa yapak natin at magwagayway nang bandila natin at magbigay ng karangalan sa ating bansa (who would follow my footstep to wave our Philippine flag and give honor to our country),"
"And also I pray for unity, prosperity to our country," Pacquiao added. Pacquiao had done enough for our country and 39 years old is very old to fight again in the ring. It's better for him to give focus on his new task as a senator. Pacquiao would have 1 or 2 fights left but that is not good for his health, aside from that, there's a lot of upcoming Filipino boxer's like Ancajas and Magsayo that hopefully could give an excitement back for the Filipino boxing fans.